Time is often limited when creating emails and planning marketing automation activities, so it’s useful to focus your activities carefully in order to gain the best ROI. This new research reviews the success factors for email marketing, which is a highly rated channel for ROI. 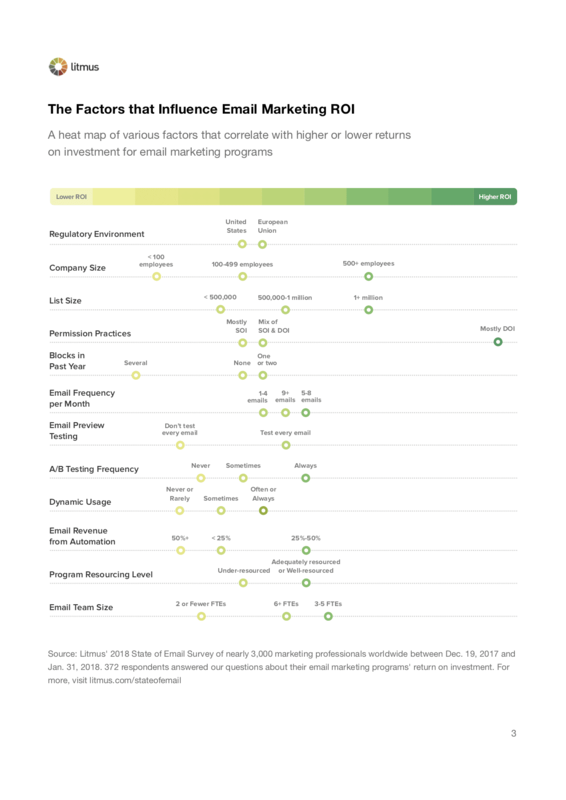 Brands that describe their email marketing programs as successful report generating an average email marketing ROI of 42 to 1, while average email programs report an ROI of 37 to 1. Beyond measurement, the research examined a wide range of factors. The visual below is worth reviewing since, as the report details, there are some surprises amongst the ones that were associated with increased ROIs and by some of the ones that weren’t.